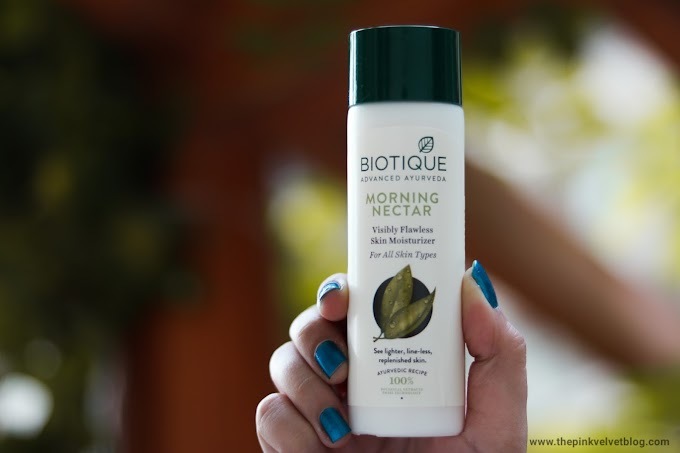 The day I tried Biotique Morning Nectar Moisturizer, I fell in love with this brand. 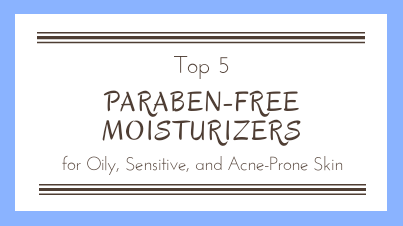 No doubt, that moisturizer is heavy for oily skin and during these humid days, you can't think of using that. But the way it worked for my acne prone skin, I just love it. It works like a medicated product. So I use it as a night cream, or during winters, or when I am in an air-conditioned room and there is no chance of sweat. 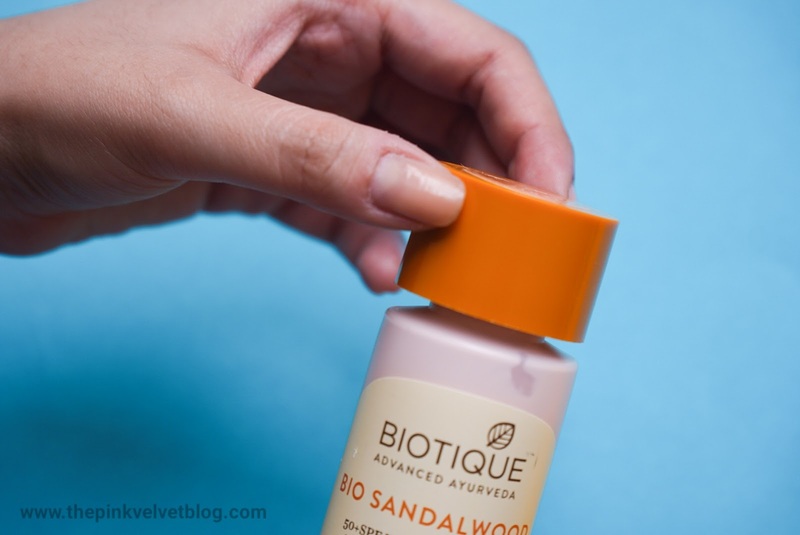 😃 Anyways, today's post is about Biotique Sandalwood Sunscreen so let us get into details. This nutrient-rich lotion is blended with pure sandalwood, saffron, wheat germ, honey and bark of the Arjun Tree to keep skin soft, fair and moisturized. Protects skin with broad spectrum SPF 50 UVA/UVB sunscreen. Water resistant retains SPF after 80 minutes in the water. 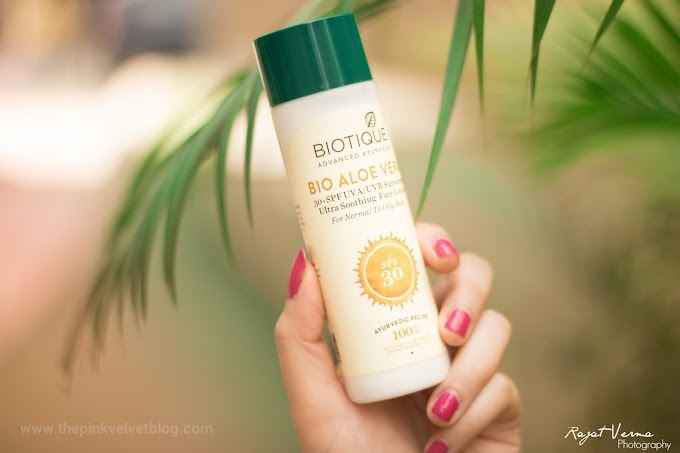 Packaging: Biotique keeps on changing their packaging and their formulation. 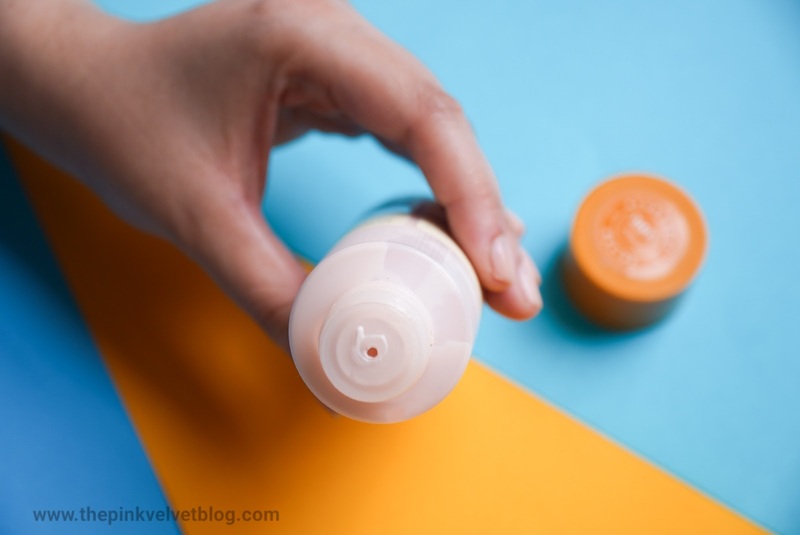 You need to be very careful while selecting Biotique products as everytime you buy the product, it's packaging and formulation is changed. 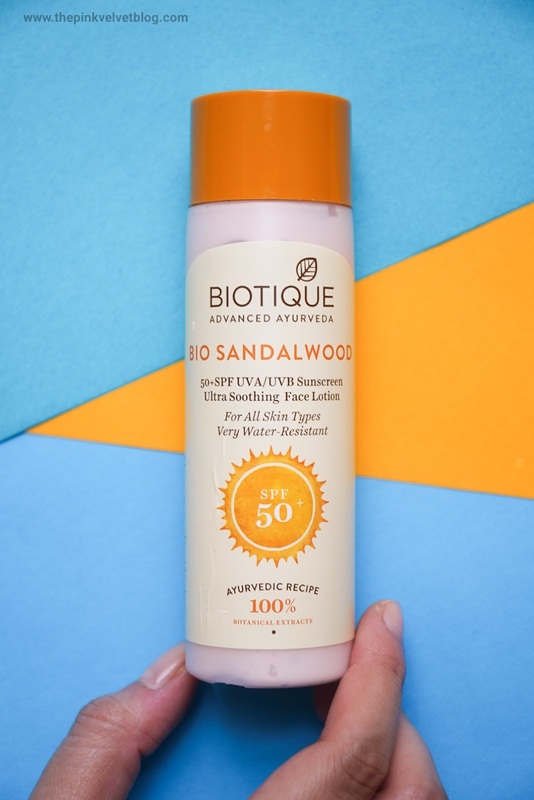 This sandalwood sunscreen from Biotique comes in a long, round bottle type packaging which is squeezable. Has a screw cap with a nozzle inside which controls the follow. It is mess-free and travel-friendly. All the details are on packaging including ingredients. 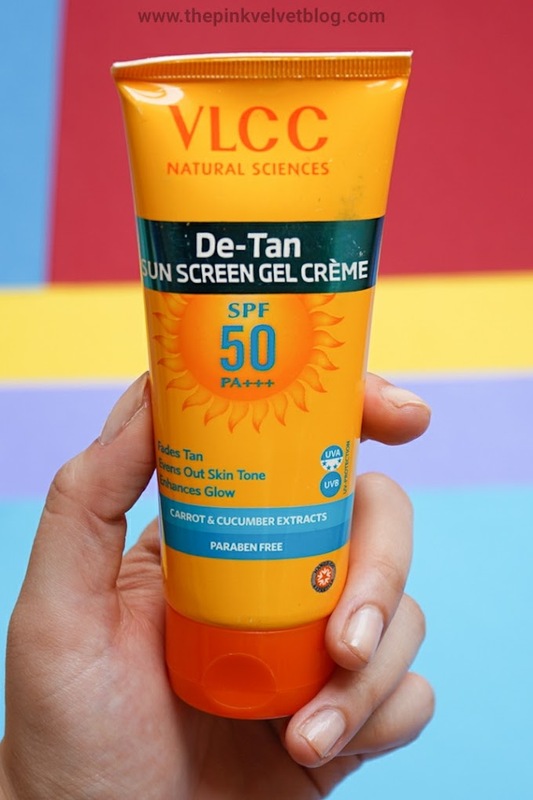 SPF50 which is mentioned is great but it is only PA+ I guess which is less for UVA/UVB Protection. Fragrance: It has a very mild refreshing ayurvedic kind of fragrance and you can easily smell Chandan (sandalwood) out of it. I like it and is not at all strong or overpowering. Colour and Consistency: It is tinted pink in colour and has a consistency of a near to thick cream. I don't know why they termed it is a lotion. The lotion doesn't have cream consistency. It says it is for all skin types but no, it is only good for dry skin. I took the only pea-sized amount and massaged onto my skin. 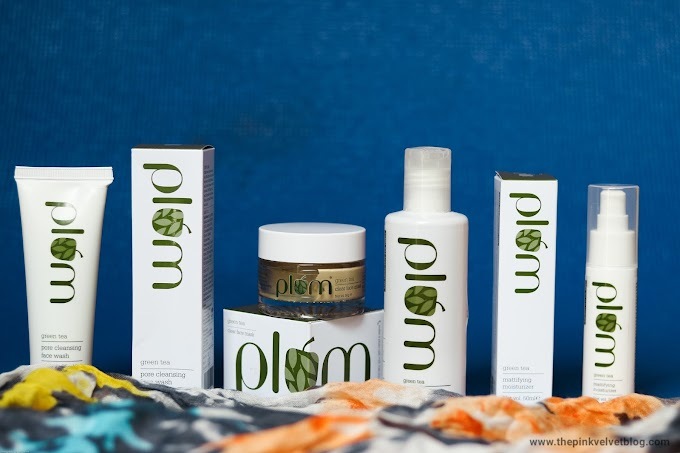 It feels soft on the skin and doesn't take much efforts to get absorbed. No doubt it is moisturizing and I didn't feel any need of using a moisturizer with this sunscreen. It doesn't feel heavy, greasy, or sticky at all while massaging onto the skin. But within an hour I guess, I started feeling stickiness on my oily skin. I mean it was not that heavy, but I was not feeling comfortable and I was feeling that I need to wash my face. It didn't cooperate well with my oily skin. It only performed well when I was in an air-conditioned room. 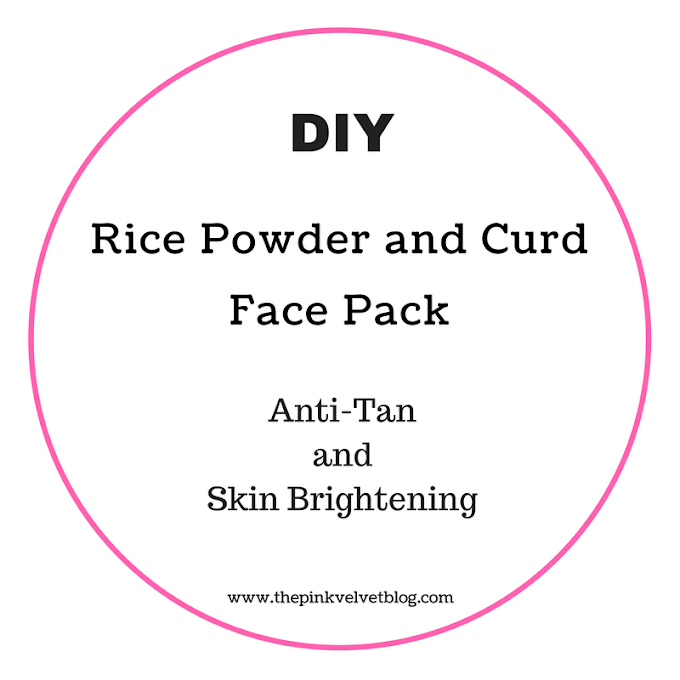 It has SPF 50+ which is great for sun protection. 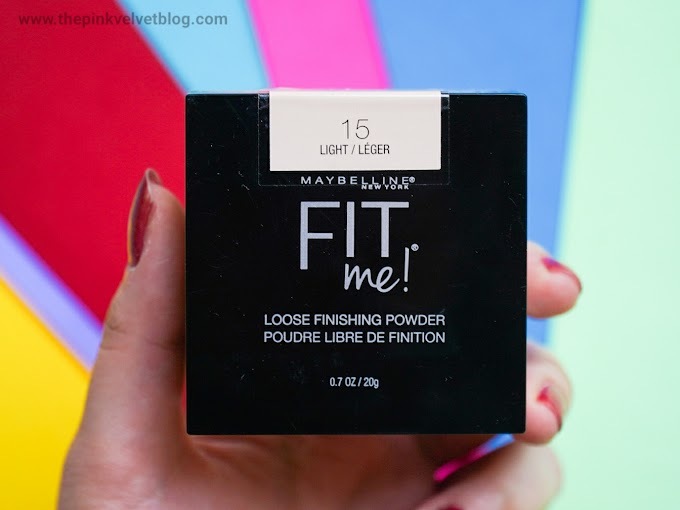 It doesn't leave the white cast but it leaves a minor shine on the face and I used a compact powder to mattify the shine if I am going out. I love the glowing skin but not shine. I already have oily skin for that. Also, I noticed it was giving me tiny clogged pores. Definitely, not a fit for me. On the other hand, it doesn't make my skin watery. It doesn't give me breakouts or any negative effect. It is just the consistency is not for oily skin. So I am going to use it as my body lotion only or during in winters. If you have dry skin. this is for you. If you need an SPF 50+ Sunscreen with moisturizing properties then you can go for this as it is a chemical-free and ayurvedic product. 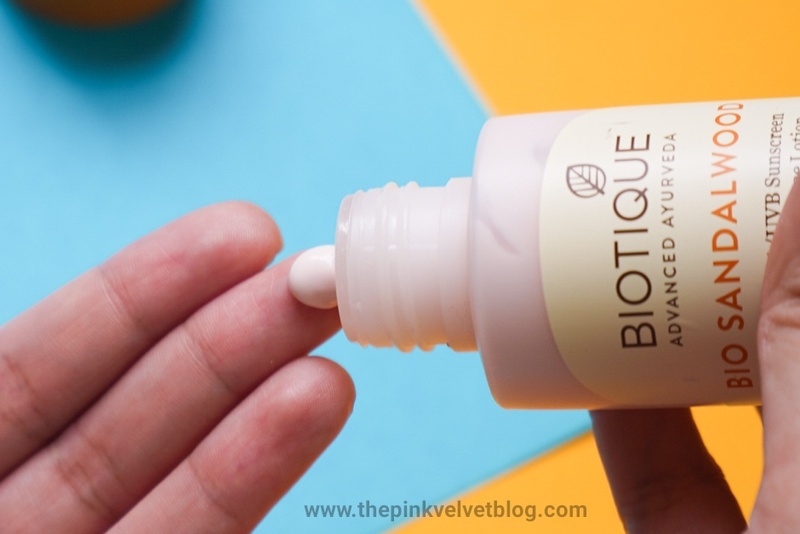 For my oily skin, I liked Biotique SPF 30+ variant which is lightweight and is good for oily skin. 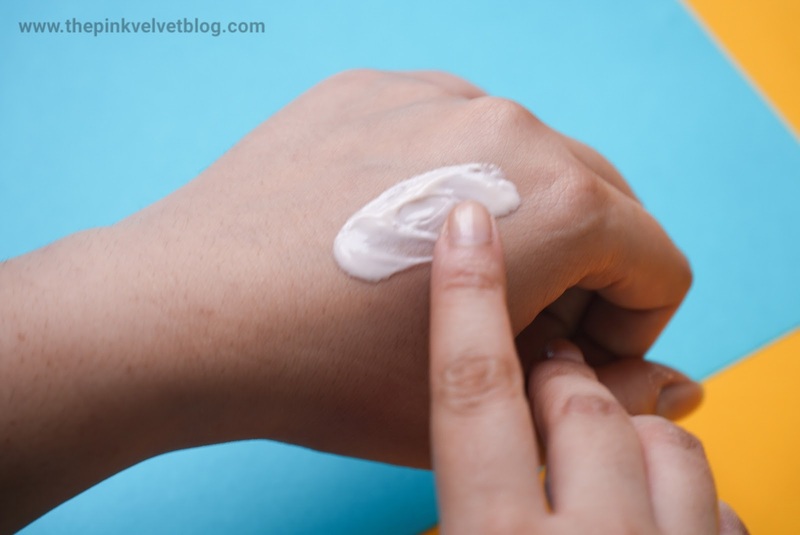 The only thing with that sunscreen is during humid season, it makes skin watery a bit so make sure you only take a little and dry your face completely after cleansing or toning your face or using blotting paper before and after application as during humidity, water and sweat sticks to our face and doesn't get evaporated. 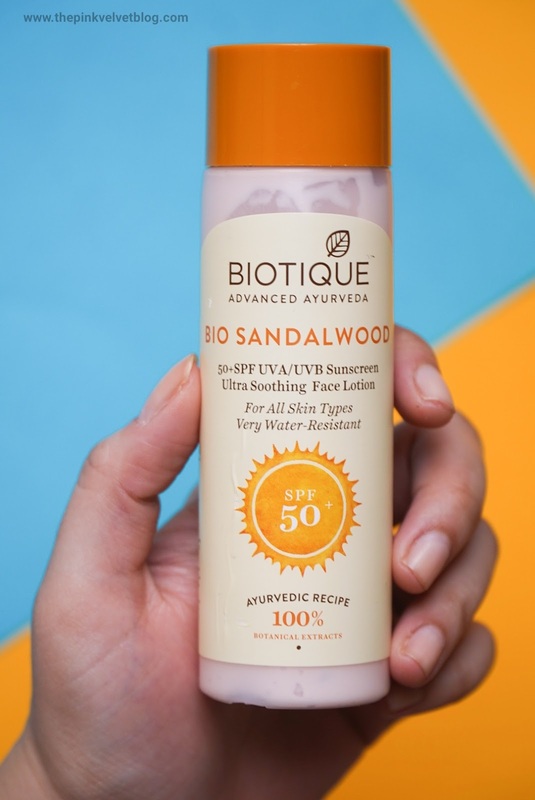 Biotique Sandalwood SPF 50+ UVA/UVB Sunscreen Face Lotion is good for dry skin only. 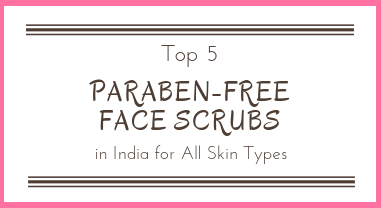 It is a chemical-free and ayurvedic product with moisturizing properties. 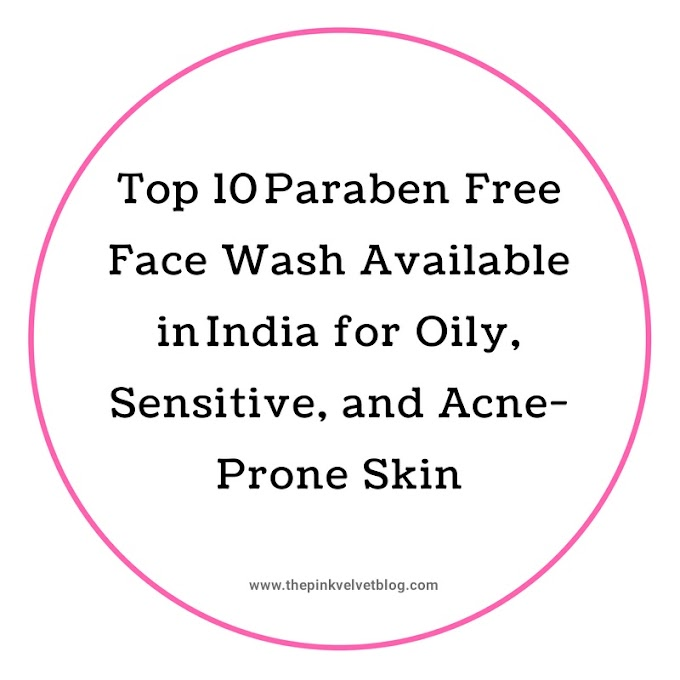 Oily skin people can use it is a body lotion or during in winters as it is bit heavy for oily skin, leaves minor shine and gives stickiness within an hour. 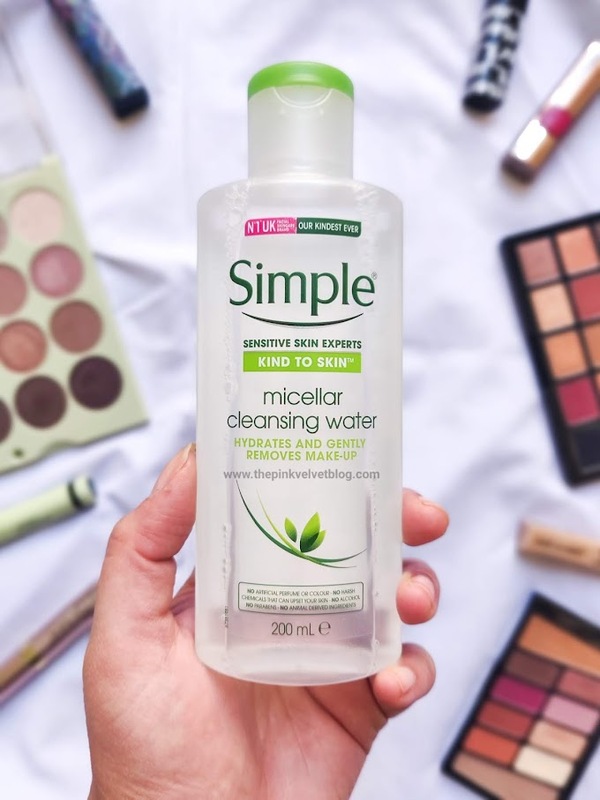 There are chances you might get clogged pores. It is only good if you are in an air-conditioned room.